Is anyone going to record this? Sure, this seems to be the less recorded Cure tour ! I mean audio recordings by audience. Has anyone news of what will be streamed live? Got an email from ACL. They are definitely streaming the second weekend. You can always check their YouTube channel to see if they are streaming this weekend. 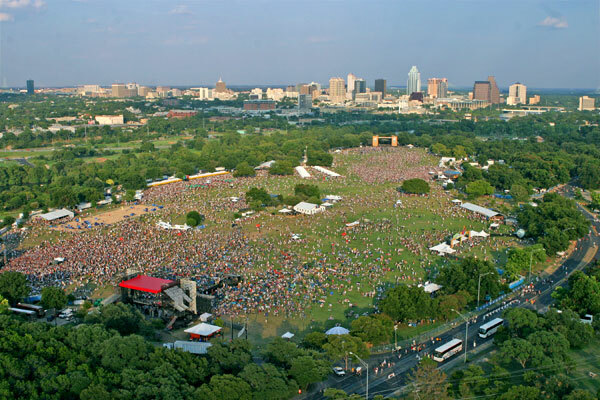 Not able to kick it with us in Zilker Park for the back-to-back ACL Festival weekends? ...You're in luck! We'll be live-streaming 40 Weekend Two performances on two channels at aclfestival.com, including Kings of Leon, Depeche Mode, Wilco, Phoenix, Dawes and many more! Full schedule coming next week. Instagram, Facebook, YouTube AND Tumblr. COF say Depeche Mode will be streamed, no news on The Cure yet ...... I do not like Depeche Mode but, if anybody wants it recorded let me know and I'll do it, with the sound of, the screen off, with sunglasses and headphones on. As far as I know, all the shows have been taped so far. Vince Clarke will be DJing October 11th. That would be cool to see, I really respect him. From FB: "Anyone off to the Austin City Limits festival next week? Vince Clarke will be playing a very special DJ set at The Belmont on October 11th to close the day’s City Limits activities which includes a headline set from a band called Depeche Mode..."
(I don't think this is at the festival though). Haha, does this mean you don't like Vince Clarke, God? Me and Depeche Mode don't get on so well, they hurt my ears. I'm sorry, for anyone who is interested.